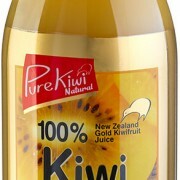 Naturally developed and grown in New Zealand Gold Kiwifruit is a nutrition powerhouse fruit packed full of vitamins and nutrients – with high levels of Vitamin C and Vitamin E, Potassium, Folic Acid and Dietary Fibre. 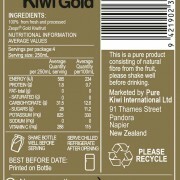 Gold Kiwifruit is also naturally low in fat and has a low GI (glycaemic index). 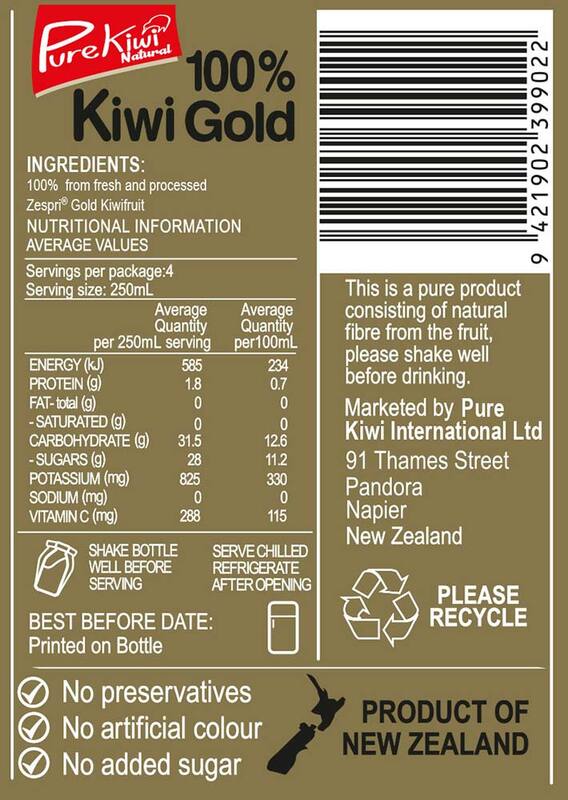 Pure Kiwi 100% Kiwi Gold juice combines the pure pleasure of a fresh and fruity taste and silky texture with the goodness of 16 ZESPRI™ GOLD Kiwifruits in every litre!